RCD Schools typically see a significant improvement not only in behavior management, but also in school climate, student and teacher satisfaction and ultimately academic success. It is a foundational tenet of Responsibility-Centered Discipline that in order for academic interventions to succeed, a system must be implemented to monitor and respond to student discipline issues and behaviors. Programs like PBIS (Positive Behavior Interventions and Support) and other Multi-Tiered Systems of Support have been implemented in schools across North America in order to increase student achievement. Not only do student discipline issues disrupt the learning environment, but time-based consequences have the unfortunate side effect of removing students who may need the most help from the classroom. A key to success for PBIS, RTI and other MTSS programs is involving all students in the first level of intervention – and RCD is designed to provide consistent and effective disciplinary support at that level. RCD will also support the process as these programs move into more advanced tiers. "The steps in this process can be taught to anyone with any skill level. It can be put into practice immediately, and my teachers and staff began using it the very next day." "The RCD discipline system has changed our school climate. Our office referrals are down by 50% and I am having the best conversations with students and parents since I became a principal." "The Responsibility-Centered Discipline presenter did an excellent job of modeling how to handle difficult situations with students. This is the best Professional Development training I've been to in years." "After our two day training, we completely eliminated demerits, citations, conduct grades and clip charts. 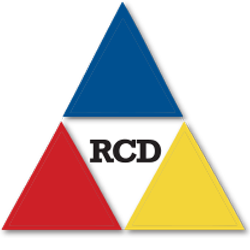 The RCD presentation made the process very accessible and understandable for what is in the best interest of the student." Helping schools build systems that help kids learn to take responsibility for their behaviors, and thus, create an environment that brings out the best in everyone.